For Noida Campus, Download application form by paying online through credit card. For Lucknow and Jaipur Campuses, Download application form free of cost, pay by Demand Draft while submitting OR pay online through credit card at the time of downloading. Amity Lucknow Campus : Viraj Khand 5, Gomti Nagar Scheme, Lucknow. What is the MAT/CAT/GMAT score required for MBA programs? If you have appeared in CAT or MAT or GMAT, Click Here to see the cut-off for various MBA Programs. If you have not appeared in CAT or MAT or your score is less than the required cut off accepted by Amity, then you can appear for Amity Written Test followed by GD and/or Interview on the day of selection process. This will be applicable to all specialised MBA Programs only. Amity University is a full fledged university and not a deemed university. 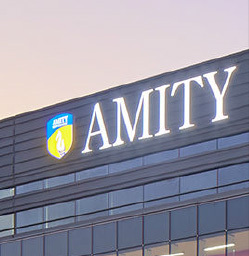 Amity University Uttar Pradesh has been established through the Act of State Legislature ( Amity University – U P Act no 11 of 2005), and thus is a bonafide University with the right to confer degrees as defined by section 2f and 22 (1) of the UGC Act. 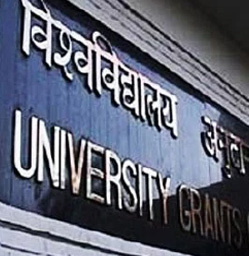 Universities do not require any approval or recognition from AICTE to conduct any courses and the role of AICTE with respect to universities is only to ensure maintenance of prescribed norms. Does the University provide Hostel/Accommodation/Residential facility for outstation candidates? Separate Hostel facilities for boys and girls, caring wardens and a tight security ensure a pleasant stay allowing students to focus on their academics. Wireless internet access and STD facilities ensure close contact with family and friends outside, the fully equipped common rooms with TV, Indoor games and other recreation facilities allow for relaxed time with friends on campus. How can I get an education loan? Does the University provide Loan facility? 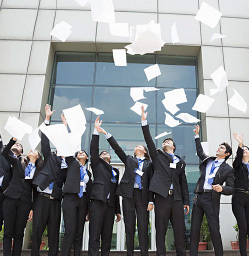 For deserving aspirants in fulfilling their dreams, Amity has exclusive tie-ups with leading banks like Allahabad Bank and Oriental Bank of Commerce for helping the Amitians to get easy education loan on 'No Formality terms'. What other facilities are offered by the University? The Campus is located right on the border of Delhi and is easily accessible to all the neighboring cities. At Amity the excellent infrastructure including amphitheatre style classrooms, modern labs and the well stocked library provide a solid foundation for excellence in academics. 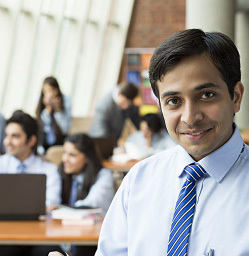 The Integrated Institutes of the university are interconnected through a highly secured Amity Virtual Private Network, where over 4,000 PCs are interconnected to the internet through broadband connection whilst 37 hi-end servers power the Amity network. Syndicate Rooms provide appropriate environment for teamwork, where students master their team skills through exercises like brain-storming sessions, group discussions, role plays etc. The Campus has a standard jogging track, a football ground, basketball & tennis courts, modern gymnasium along with other indoor games such as billiards, table tennis, etc. A state-of-the-art 600 capacity auditorium acts as a common ground for students, faculty and corporate personalities for regular interface and other management events. An air-conditioned, multi-cuisine restaurant serves a delectable variety of Indian, Chinese and continental dishes. 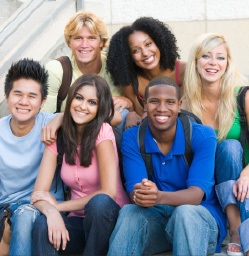 Every student is covered under comprehensive Medical Insurance to meet all kinds of exigencies. For total care of any emergency, we have tie-ups with leading hospital chains like Apollo for immediate and preferential treatment and a 24 hour ambulance on campus. Application for withdrawal from the programme is to be sent to the Admission office. Application for withdrawal from the programme is to be submitted to the Academic department of the respective institution. No withdrawal will be processed during admission time, March to August.